If I rated this book based on what it gave my brain, which was a much needed break, I would give it four stars. If I rated this book on actual content, based on the merits of great literature, I'd give it two stars or less. I decided to choose three stars with an explanation. 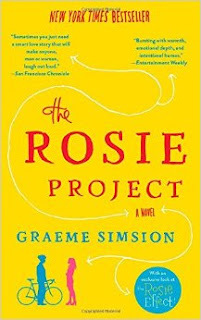 A friend recommended this book to me for when I just wanted a quick, easy read that would charm me and make me smile. The book delivered on that basis. I am a voracious reader and find that I need to "lighten up" in my selection of reading materials from time to time. I used this book for just that purpose, and I'm so glad I did. Like so many other fans of "The Big Bang Theory," I definitely thought of Sheldon as the main character almost immediately. In fact, I wondered if anyone has told Chuck Lorre about the book,...or if he may have actually put the author up to it. Either way, the results were enjoyable. As so many others have put it, it's a romantic comedy with 'Sheldon in love'. I'm not surprised Sony is going to make it into a movie, I believe that was the author's intent all along. I probably won't go see the movie, but I did enjoy the book. It made me laugh a bit and allowed me a little mental vacation for a few evenings. It's not great literature, but it is good fun! 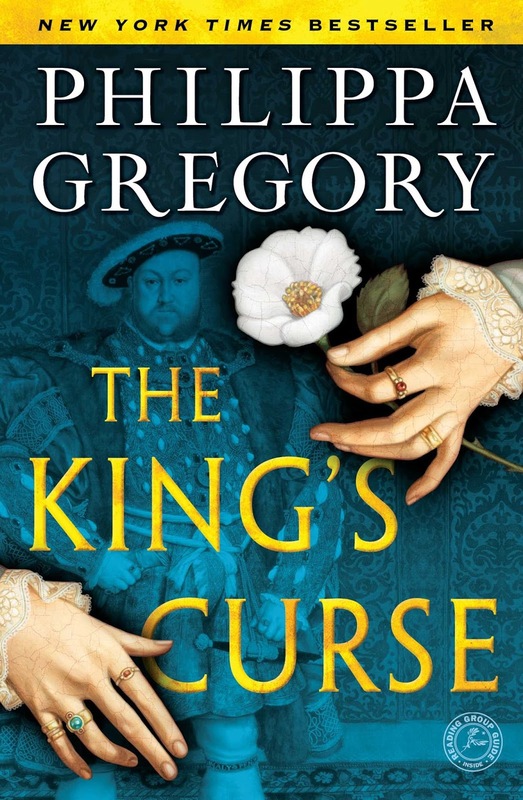 In other news: I've read some other books lately, which I haven't found time to blog about, but I still haven't finished The King's Curse by Philippa Gregory. It's no reflection on the book. It's more of a reflection on me, I suppose. My job has been more than a little stressful lately, and the content of Gregory's historical fiction novel is a bit...depressing. It isn't the writing, it's the subject. I've read five other books since starting the story of Henry VIII and his wives. I find it interesting, but...more than my heart can take when work is more difficult than usual. I've finally decided to just put it aside for awhile until my life decides to lighten up. I will give brief reviews this weekend on the other books I've read since I blogged about Hemingway. I've still not read anything equal to Patrick Rothfuss (and, yes, I do hunt and hope), but I've read several reviews from Rothfussians that indicate I should try novels by Robin Hobb. I recently purchased my first Hobb novel, but I won't have time to give it the attention it deserves for a couple of weeks. In the meantime, I plan to continue my "lighten up" reading phase until Spring Break swoops in to restore my overworked mind and save my reading soul! I didn't realize how long it's been since I've blogged! I've just been so busy with work and doing little side projects and enjoying life, I haven't slowed down enough to write about it. I guess you could say that's a good problem to have, even the working hard part (to some degree) because I enjoy what I do. One of my latest side projects is scanning my entire library into my Goodreads account. I had no idea this was even possible until a co-worker of mine showed me how she used her phone to scan in her classroom books. After that, I read an article from Book Riot that talked about different phone apps you could use. And when I found out Goodreads has one? Score! I can't tell you how excited I was to turn my phone into a scanner that would log in all my books! It's a joy only a true book lover could understand! I thought I would do my entire library at once, but...I didn't really realize just how many books I have in a variety of places all over the house. I have them in different places for a reason, as I like them organized in a certain way. Yes, I have a library, but I also have a bookshelf in my bedroom and an entire closet full of YA books. I also have certain books in small piles around the house just because those books make me smile. Everyone does that, right? Or maybe that's just me? I decided to take my time and enjoy the process of scanning, so I'm doing it in stages. If I don't do it that way, I'll end up in the same scenario we all do when we start to organize photographs. You know, you start to sort them,...and then good memories come up,...and you look at them longer than you should,...and you retell bits of the story in your head,...and you end up not organizing at all. All you've done is move around the big pile of photographs and end up sitting in the middle of them with a big goofy look on your face. Everyone does that, right? Or maybe that's just me? Well, I know myself well enough to know if I tried to do all the books in one day, I would end up with piles of books around me with nothing but a big, goofy grin to show for my efforts. By taking a few books at a time, I still get the goofy grin,...but I also get a manageable stack of books to organize. For me, it's a win-win. I have been reading, of course, but not as much as I'd like. The weather here has just been so beautiful (and will continue to be beautiful through this coming weekend), that it's difficult for me to sit still. I seem to look for things I need to do that take me out of the house and into the sunshine. Again, this is a good problem. Once I was up and going this morning, and found I didn't have what I needed to get any school work accomplished, I asked myself what I hadn't done lately that I wanted to do. I chose a variety of things to do in a certain order and, eventually, ended up here. Taa-daa! 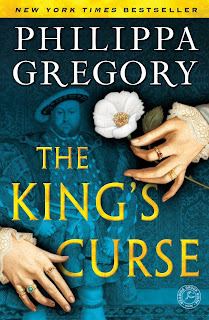 I've read a bit of my current novel, The King's Curse, by Philippa Gregory, and I also read some book reviews on Goodreads (and found a couple of more books for my "to read" shelf). I watched a Patrick Rothfuss interview a few minutes ago, and now I'm catching up with you. When I'm done here, I'll have a little more time to get some reading done before I have to get ready for work. It's amazing what all you can do when you take a little time for yourself. See? It's all good...and not a problem at all.